Pithoragarh is a town in the Pithoragarh district and is part of the Soar Valley which is equated to Kashmir Valley. 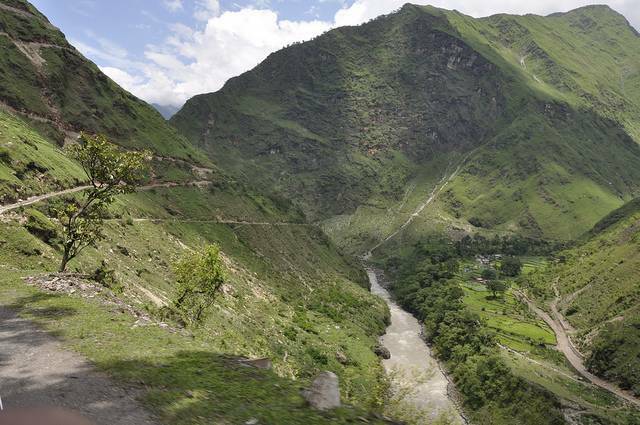 Pithoragarh shares a sobriquet “little Kashmir” and boasts of exceptional and exquisite scenic charms. This place is beautifully surrounded by Chandak hill, Thal kedar, Kumdar and Dhwaj Hills. A gateway to the Himalayas from the north this place is a rest and recoup center of all pilgrims travelling to Kailash Mansarover Pilgrimage. Being the strong hold of Chand rulers Pithoragarh houses two forts of that era. The Pithoragarh Fort built by the Gorkhas is a must see. Another place worth a visit is a drive down to Chandag, which houses an asylum for lepers. It is here, so believed that Goddess Durga had killed the two demons Chand and Mund. The place is dotted with temples, each one with a legendary story to its existence, the Kapileshwar Mahadev cave temple dedicated to Lord Shiva which lies just 5 Km from Pithoragarh , Kamakhya Devi Temple, Maa Jayanti temple dedicated to Lord Shiva. Kapileshwar temple is another spot from where one can enjoy the grand view of the Soar valley as well as pay obeisance to Lord Shiva. Visit Chandnag and is another paradise in this area.